(RNS) Three women of Muslim heritage will receive the Lantos Human Rights prize on Thursday (Dec. 10), named for former U.S. Rep. Tom Lantos, (D-Calif.), a Holocaust survivor known for his advocacy for oppressed peoples worldwide. The winners earned the honor for their “willingness to defy social and cultural norms” and to risk their safety to expose human rights abuses, according to the The Lantos Foundation for Human Rights and Justice, which will bestow the awards on Capitol Hill. Rebiya Kadeer president of the World Uyghur Congress, the body which represents a Muslim group in China targeted by the Chinese government. 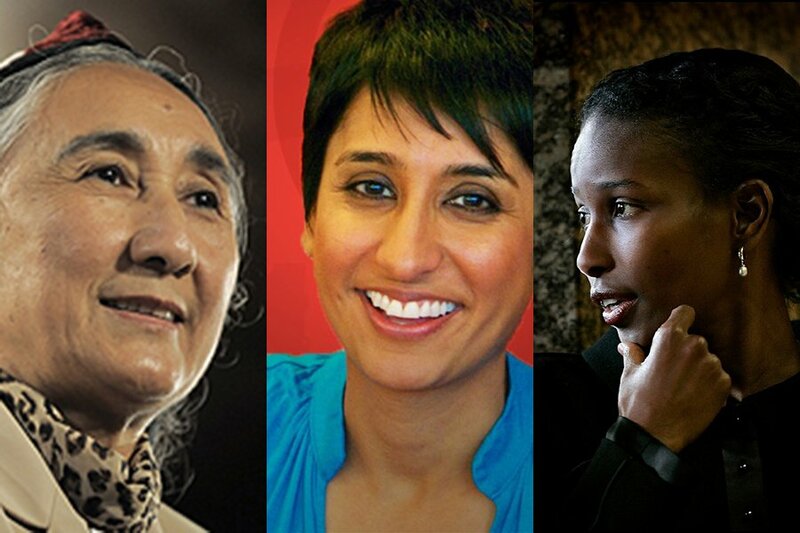 Kadeer, who spent six years in a Chinese prison, now lives in the U.S.
Irshad Manji, born in Uganda, is a bestselling author and advocate for reforms within Muslim cultures to promote individual freedoms. She founded the Moral Courage Project, which seeks to inspire individuals to protest human rights abuses even when threatened. Ayaan Hirsi Ali, is a Somali-born author who sought asylum in the Netherlands and now lives in the U.S. An atheist and a controversial critic of oppressive elements with Muslim cultures, she was an elected member of the Dutch Parliament. She has angered some Muslims with her questioning of Islamic beliefs, including the divinity of the Quran and the status of the prophet Muhammad. Former recipients of the Lantos Prize include former Israeli President Shimon Peres, former Secretary of State Hillary Clinton and the Dalai Lama. Standing ovations belong to all three.